Psychological Dream Meaning: Precious gold may symbolise those aspects of your true self that you hold to be dear. It can represent spiritual achievement and self-realisation. Associated with the sun it may also represent life and renewal. Psychological Dream Meaning: A government may represent the forces within your psyche that have most power. Are you governed by qualities such as greed, lust and jealousy or love, acceptance and honesty? What factors are in charge of your life? Dreaming about government may also reflect your views about society at large and about the way you organise your life. Psychological Dream Meaning: Grandparents are usually seen by children to be more sympathetic figures than their parents. Parents have to be obeyed but a grandparent’s advice is listened to and voluntarily applied. In dreams, they can represent wisdom that has stood the test of time. This wisdom may be the superior knowledge of the unconscious. Psychological Dream Meaning: Something within you has died. 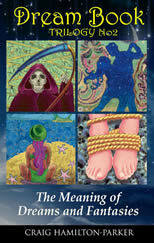 You must discover what it is and why it has been returned to the unconscious, here symbolised by the earth. Alternatively the grave may be a pun to say that you are facing a ‘grave situation’ or it could simply be reflecting your own thoughts about death and mortality. Psychological Dream Meaning: A guest may represent a previously unconscious aspect of yourself that you have invited to become part of your conscious life. Similarly a guest may represent new challenges and interests. If you are the guest then the dream may draw your attention to circumstances in your life that are temporary. Guests don’t usually stay forever, they come, are entertained and then they go. Psychological Dream Meaning: When Mae West said in the film My Little Chickadee “Is that a gun in your pocket or are you just pleased to see me?” she was talking pure Freud. In dreams guns represent aggressive sexuality. If you dream of killing someone with a gun, this may represent your desire to kill off part of your self. If it is an animal you kill, this may show how you repress your instincts. If it is you that’s being shot, you may feel that, in waking life, you are being victimised in some way. 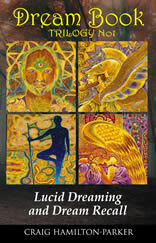 Psychological Dream Meaning: The guru may represent your own higher self and the innate wisdom within you. He may take a religious form such as Buddha, Shiva, or a saint. This ‘inner guide’ may also appear as an old bearded man, a priest, prophet, magician or king. In its feminine manifestation, it may appear as the Earth Mother or a Goddess. For example, the Virgin Mary appearing within dreams is a symbol of supreme compassion and selfless love; your inner guide that teaches through grace rather than power. Carl Jung called these figures ‘mana personalities’. (Mana denotes the mysterious powers associated with the gods or superhuman knowledge). Because of the awe-inspiring knowledge and insight that these people represent, they may sometimes appear as frightening or domineering figures. 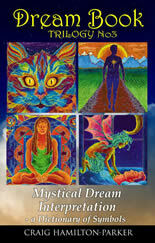 Dreams of this nature indicate that an extremely important spiritual aspect of your life is opening. Psychological Dream Meaning: The gypsies are a mysterious people surrounded by legends and occult stories and may therefore represent your shadow- the undiscovered part of yourself. Alternatively, the dream may be suggesting that you look to the future. What will your circumstances be like in years to come if you continue as you are?